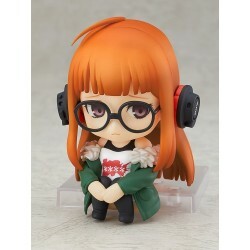 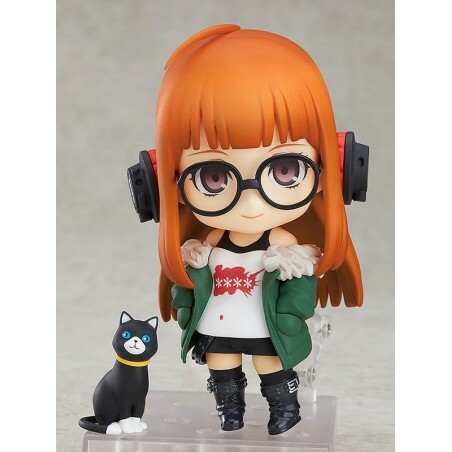 From the popular game "Persona5" comes a Nendoroid of the genius hacker, Futaba Sakura! 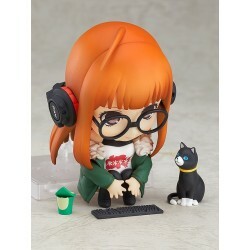 Her unique style has been captured in adorable Nendoroid size, and she also comes with sitting parts which allow her to be displayed sitting at her keyboard! 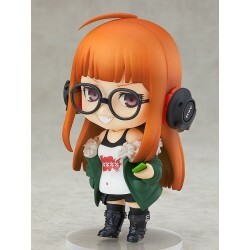 She comes with three face plates including her standard expression, a downcast expression as well as a grinning expression. 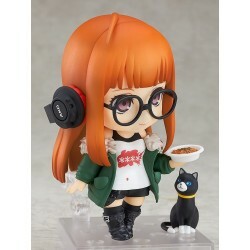 Other optional parts include the real world version of Morgana, a potato snack as well as some cup yakisoba to display her in various different scenes!